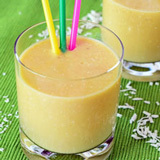 Sometimes an ordinary smoothie is just not enough. 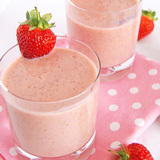 While a smoothie filled with fruits such as berries and bananas is healthy and tasty, it can leave you feeling hungry by mid-morning or mid-afternoon. 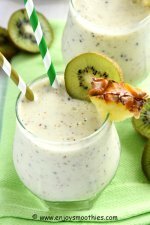 If you want a smoothie that will keep you feeling full all day long and keep the hunger pangs at bay, then you need a protein smoothie. A protein smoothie will give you all the nutrients required to help repair muscle tissue and give you that burst of energy. Use them as a complete meal, a great way to get you going in the mornings, a healthy pick-me-up or as a replacement for that sugar and calorie-laden dessert. But there’s no need to go out and buy protein powders. Personally I’m not a big fan of protein powders. Not only are they expensive, but many taste horrible and some of the ingredients can be questionable. 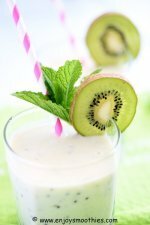 The basis of your smoothie will be centered round yogurt, cheese, tofu, beans or avocados. Greek yogurt is loaded with protein, about 23 grams per cup serving. It also contains probiotics, which are good bacteria that promote healthy digestion and reduce the symptoms of lactose intolerance. Ricotta cheese is made from whey protein and is the perfect replacement for protein powder. It packs a whopping 14 – 16 grams of protein for a single serving and is easily digestible. 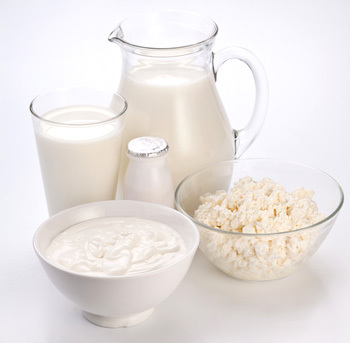 Cottage Cheese is made from casein protein which is slow-digesting. This will provide your muscles with a prolonged supply of protein for lasting energy. Casein also works as an appetite suppressant, helpful if you are dieting. Cottage cheese contains between 12 – 14 grams of protein per serving. Beans are packed with both protein and fiber and, believe it or not, are great in smoothies. 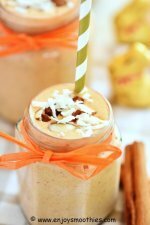 Black beans with chocolate or cannellini beans with vanilla blend up into deliciously creamy smoothies. Half a cup of beans provides 15 grams of protein. Tofu is another great plant-based protein source. Silken tofu is best as it blends into a creamy, smooth consistency and provides around 4 grams of protein per serving. Avocados contain all eighteen essential amino acids to be a complete protein food. The next step is the milk. You can use dairy, oat milk, nut milks or soy. Soy milk packs a whopping 7-8 grams of protein per cup. Oat milk contains a moderate amount – about 4 grams per cup. Nut milks such as almond milk, contain the least amount, about 1 gram per cup, but when combined with other high protein foods, this doesn’t really matter. Adding nuts and seeds such as almonds, peanuts, cashews, flaxseed, sesame or sunflower seeds will not only thicken your smoothies, but they bump up the nutritional value. As well as protein, nuts and seeds add healthy fats to your smoothie that will help lower cholesterol and aid in vitamin absorption. I love adding nut butters, such as peanut butter or almond butter, which I make myself. One tablespoon of nut butter, either peanut or almond butter will add about 3 – 4 grams of protein. Chia seeds are another great addition and will add 4 grams of protein for each tablespoon. Pumpkin seeds have 3 grams of protein per tablespoon. A half cup of oats will add about 5 grams of protein. Soaking them overnight, or for a couple of hours, will make blending much easier. Next come the flavorings. Many of these ingredients can be rather bland tasting, so you will need to add a sweetener. Opt for natural sweeteners such as fruit, honey or maple syrup. Or you can use vanilla extract or cinnamon.